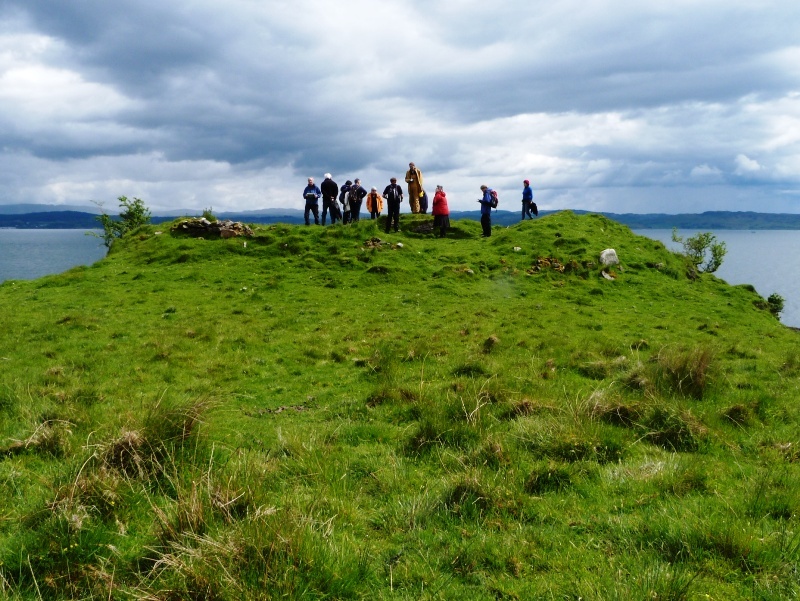 The final walkover for this winter/spring attracted 12 enthusiasts, led by the local historian Douglas Breingan. 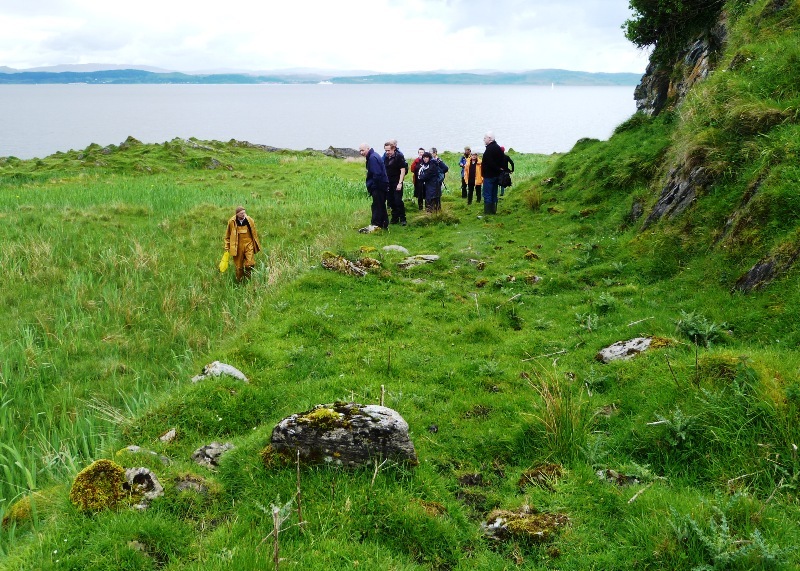 We explored the southern part of Lismore, focusing on ancient duns and on settlements from the 18th/19th centuries. The data we collected, photos and GPS coordinates, will be stored in the Heritage archive. 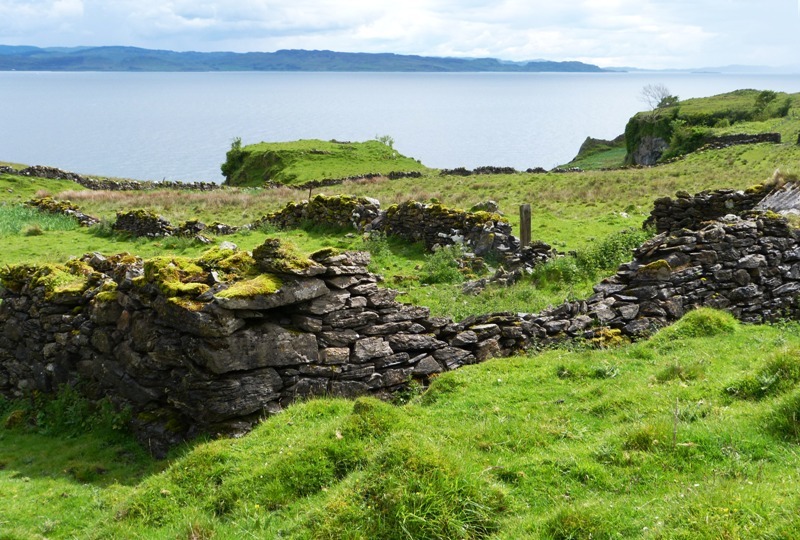 We looked first at Fiart farmhouse, an imposing ruin that poses some questions. It looks as if it was built in the 1840s but it was not on the 1870 map. Partly constructed in imported granite, and with some outstanding features, it may have been built by the Duke of Argyll in the 1870s after the area had lost most of its population. 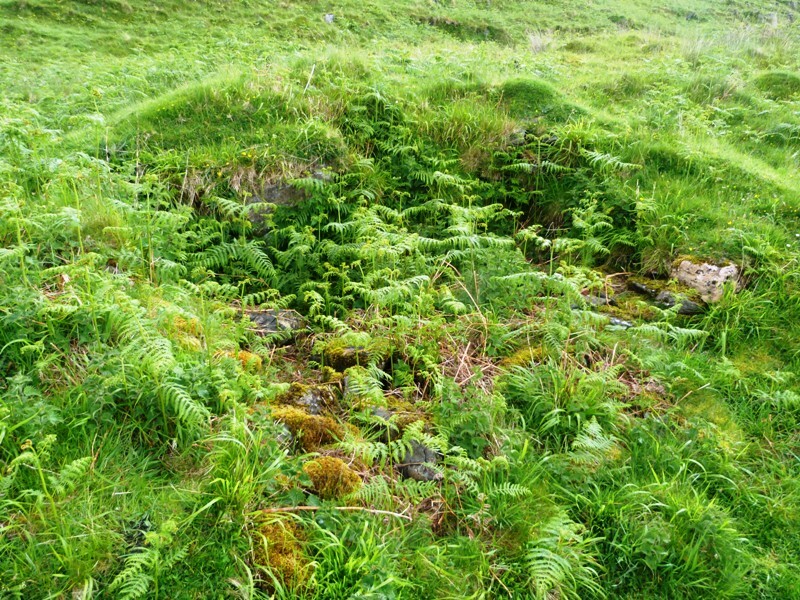 Close by is a ruined settlement which was on the 1870 map – and may therefore have been the source of some stone for the later farmhouse. It comprises three buildings, one of which is large, and an enclosure. Around this settlement there is evidence of extensive tilling; perhaps it was an agriculturally productive area. 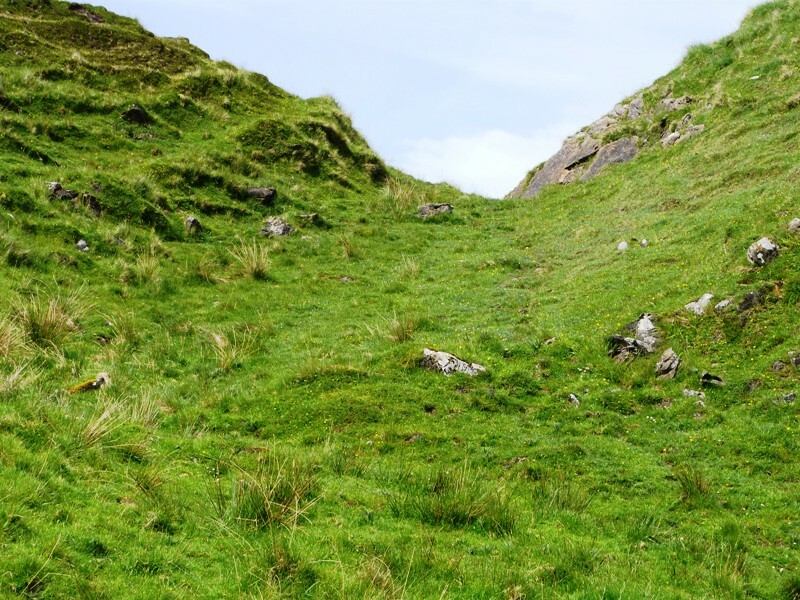 Our next conundrum was a very large enclosure, covering several hectares, with a ruined dyke still discernible that had once been very significant: its remarkable height was noted by an antiquary in the 1870s. We had no evidence of the function of this enclosure – was it a woodland, we wondered. 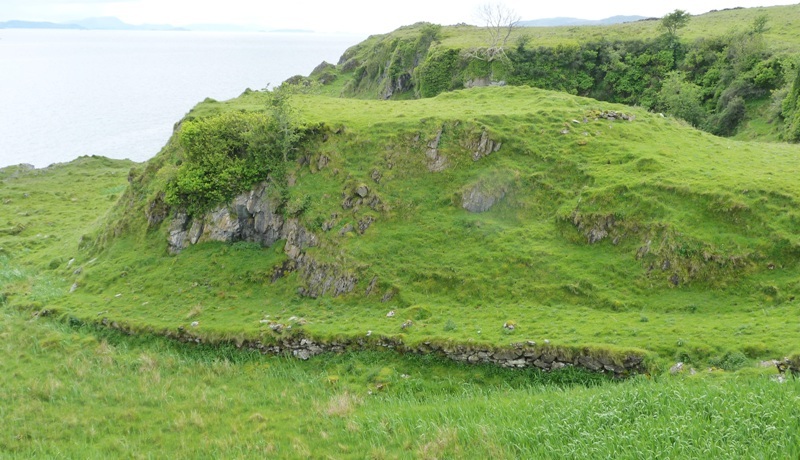 Nearby is another ruined settlement shown on the 1870 map as comprising three households. This, too, has some impressive stonework. 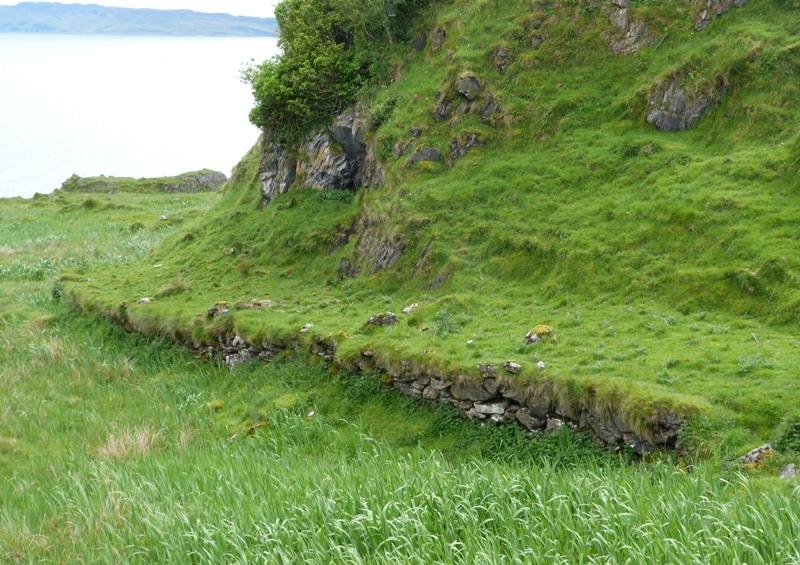 The walk then took us much further back in the past, to An Dun a very large Iron Age dwelling on the coast. More complex than some ruined duns the stonework suggests there may have been a building within the exterior wall. 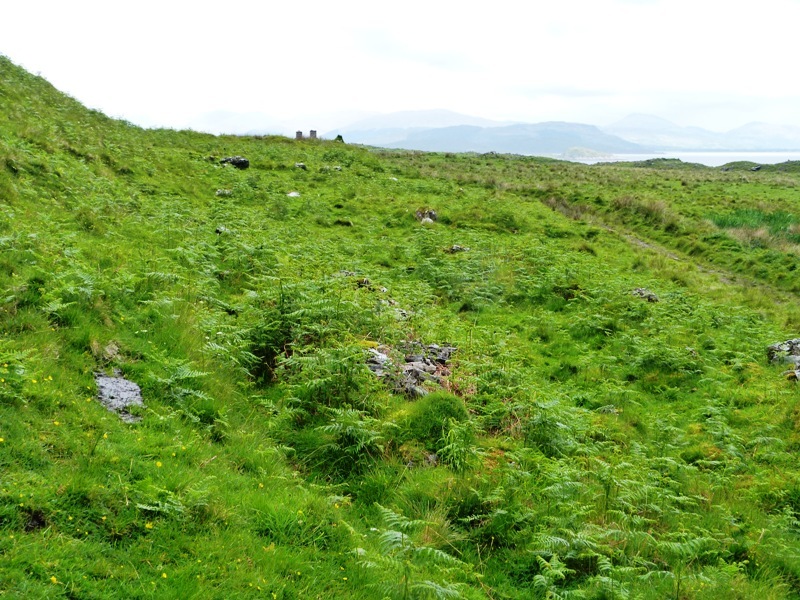 Like many Lismore duns it is superbly situated with magnificent views along Loch Linnhe. Below the dun we were puzzled to see the remains of a substantial roadway of very uncertain age and function: it seemed to go nowhere, heading towards the sea without actually reaching it. A historical question still to be solved. 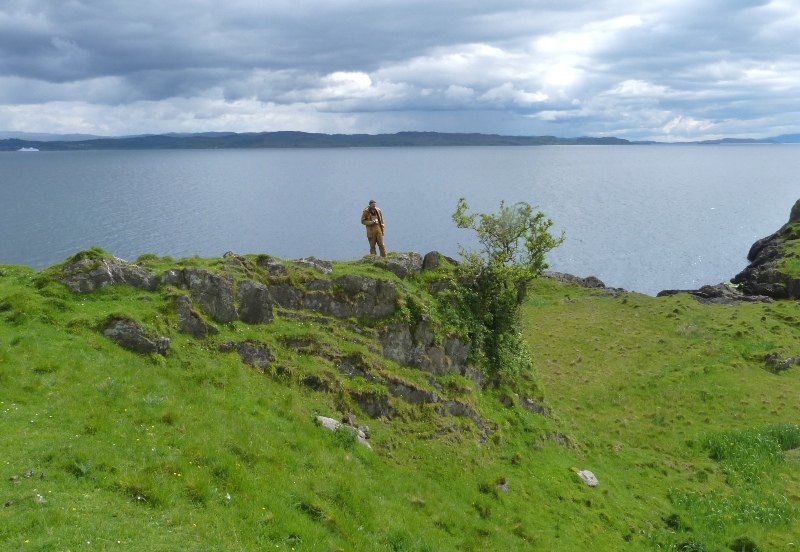 Finally, we walked to a second, smaller Iron Age dun, sometimes known as Fiart Dun, again in a most spectacular location beside the sea, characterised by walls several metres wide. 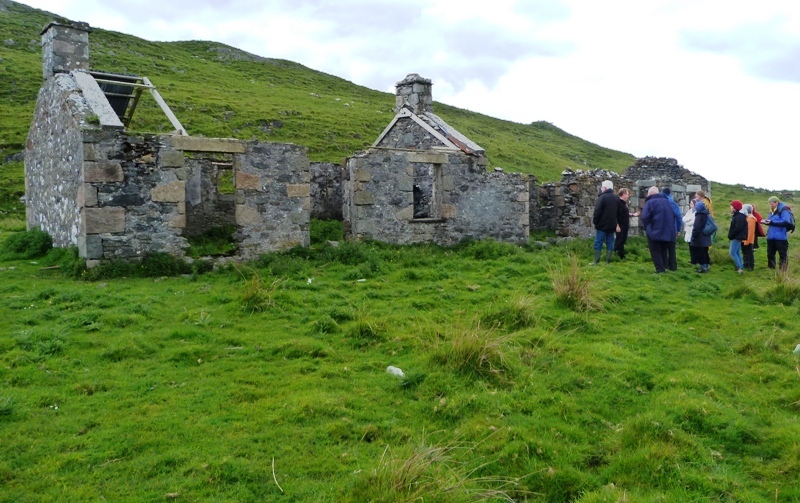 On our way back to our starting point Douglas Breingan showed us yet more ruined buildings. Too carefully built to have been something temporary, and possibly comprising two small houses, oddly, they were not on the 1870 map. Yet another small mystery. 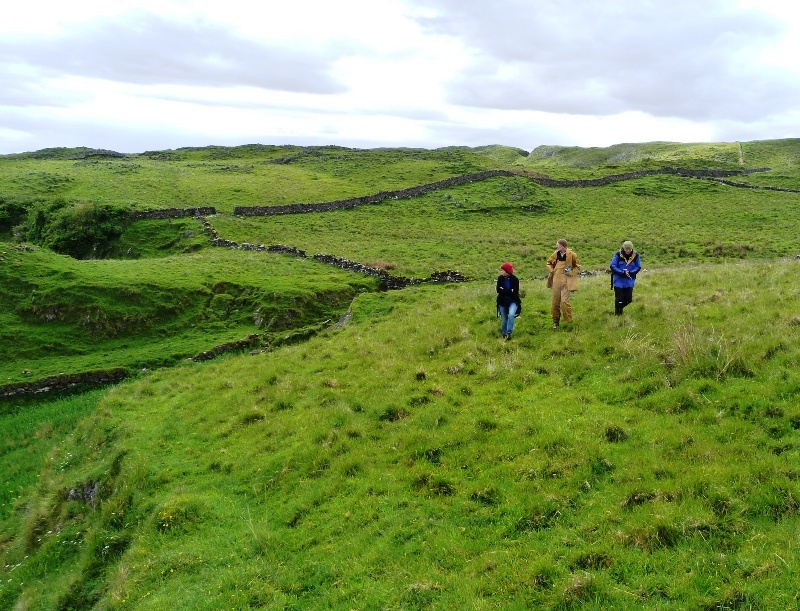 We are now planning next winter’s walkovers and will publicise them in due course. 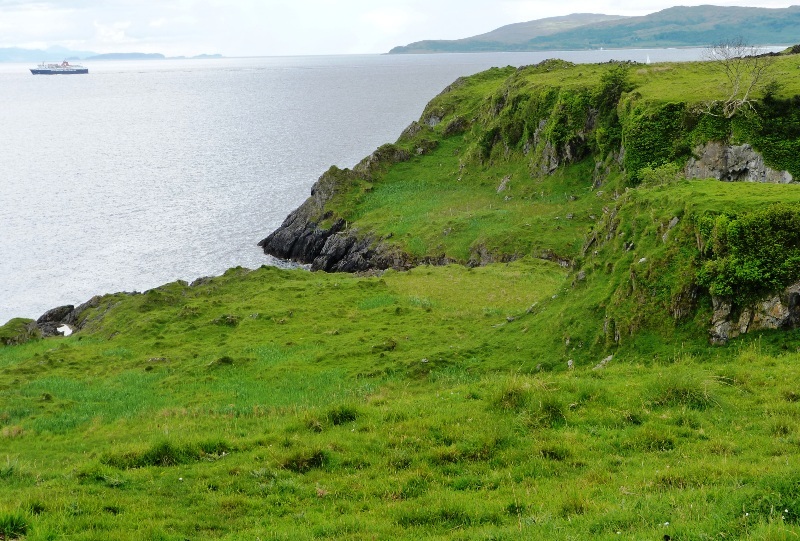 Our current thinking is that they might be at the north end of the island, and therefore easily accessible to visitors. 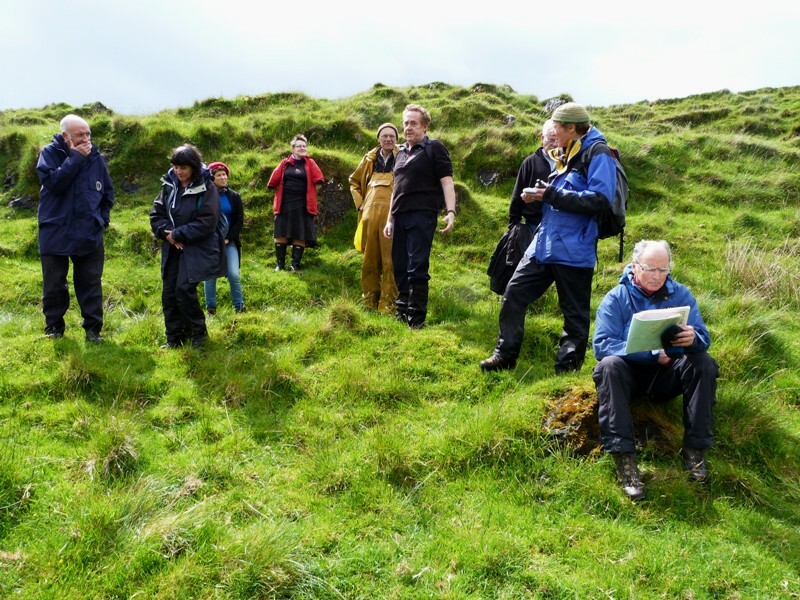 This year’s walks seem to have been a great success: we explored over 30 sites from Kilcheran to Fiart, learned a lot and enjoyed ourselves immensely. Next year will be just as good! Special thanks to our excellent guide Douglas Breingan.